Advance registration is required for this complimentary lunch event. Simply add it to your online conference registration or, if you have already registered, you may either edit your registration online or contact ICEC to have us add it for you. The conference is not providing lunch on Wednesday, so attendees who are at the hotel during lunch time will either need to register to attend Incyte’s lunch presentation or make their own lunch plans independently. Thank you to Incyte for this excellent addition to our program! Note: No continuing education units will be provided for attendance at this lunch presentation. All conference attendees are invited to gather in Bill’s Grill at the Loews Ventana Canyon for our kick-off social gathering of the conference. Hors d’ouevres will be provided and a cash bar will be available. Meet other conference attendees and see old friends! Join us after the Special Joint Reception for some unparalleled stargazing with two expert astronomers! 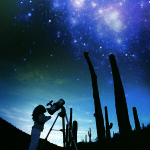 First we will hear some overall information about the night sky from astronomer Thomas A. Fleming PhD of the University of Arizona’s Steward Observatory and astronomy educator and author Ken Graun. Then participants will take turns looking through one of two telescopes facilitated by Dr. Fleming and Mr. Graun. Advance registration is required for this complimentary event. Simply add it to your online conference registration or, if you have already registered, you may either edit your registration online or contact ICEC to have us add it for you. Offered free of charge, but limited to the first 50 registrants! Dr. Thomas A. Fleming received his A.B. in Physics from Cornell University in 1982 and his Ph.D. in Astronomy from the University of Arizona in 1988. After spending four years on the science team for the ROSAT X-ray telescope at Max-Planck-Institute for Extraterrestrial Physics in Garching (near Munich), Germany, he returned to the University of Arizona in 1993, where he is now an Astronomer and Senior Lecturer. Dr. Fleming has served on several peer review and users committees for NASA, mostly in the field of X-ray astronomy. His areas of research include X-ray emission from stars, the nearby stars, very low-mass stars, and white dwarfs. Since 1999, he has been responsible for public outreach and coordination of the astronomy general education program at Steward Observatory. In particular, he serves as organizer and host of the Steward Observatory Public Evening Lecture Series, the observatory’s major vehicle for disseminating information on astronomy and space science to the general public since 1922. * In 2000, Dr. Fleming received the University of Arizona Provost’s General Education Teaching Award for his innovative techniques in teaching science and astronomy to students not majoring in science. In 2013, he received an Excellence in Academic Advising award from the University as the Outstanding Faculty Advisor. *Podcasts of the Steward Observatory Public Evening Lecture Series are available on the University of Arizona site on iTunes U starting with the Fall 2009 semester. Ken Graun is an educator and author of several star charts and beginning books on astronomy. He teaches math and the sciences at the community college level and coordinates beginning talks on amateur astronomy at the annual Riverside Telescope Making Conference and Astronomy Expo held atop the San Bernardino Mountains in California. Ken has won awards for several telescopes that he has made, including replicas of Galileo’s. He spends his time teaching, writing, observing and working in his woodshop. Originally from Milwaukee, he served in the US Navy after college and found his way to Tucson to complete requirement for his graduate work. Tucson has been his home for 25 years. Please join us for a lovely evening at the Tucson Botanical Gardens! * The event will begin with a social hour in the Butterfly Magic Exhibit, followed by a nice dinner in the historic Porter Hall and Reception Garden. During dinner, we will be treated to a talk from botanist Mark A. Dimmitt PhD on the Arizona Sonoran Desert Ecosystem and Plant Life, with a focus on desert seasons, beauty, special features, animal interactions and adaptations, and desert foods, along with an introduction to the Cactus Rescue Program. Tickets are limited, so please purchase tickets for you and your guests when you register for the conference! *The dinner event does not include admission to the entirety of the Tucson Botanical Gardens. 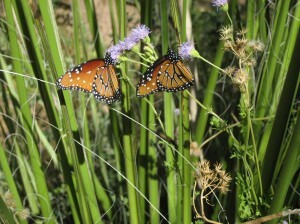 We will be restricted to the butterfly area, the Porter Hall, and the accompanying Reception Garden. Advance registration is appreciated so that we know how many attendees to expect. Simply add one or both Wellness Session options to your conference registration. Copyright © 2019 International Cancer Education Conference. All rights reserved.